Provide comfort for the family of Claire Ralph with a meaningful gesture of sympathy. Claire E. Ralph, 91, died February 22nd at her home in Waldoboro. 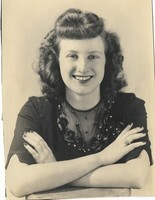 She was born November 15, 1927 in Rumford to Joseph Muzroll and Margaret Anderson Muzroll. Claire grew up in Rumford until her family moved to Waldoboro where she graduated from Waldoboro High School in the Class of 1945. She married her high school sweetheart, Ronald E. Ralph in 1946. She worked in public schools for many decades including the Miller School in Waldoboro, Washington Elementary School, and A.D. Gray in Waldoboro. She was very good with the children. She was very giving, caring, non-judgmental, and positive as she helped them grow as people. She helped raise money for yarns and organized knitters to make mittens and hats for children in need. She retired to travel with her husband Ronald. Together they travelled the world and forty eight out of the fifty states. She would say that she was “building memories” for a time when they were no longer able to travel. They were also very active in harness racing, traveling all over the East Coast with their race horses, including Indianapolis, a world record setting trotter. Claire loved to entertain and was a wonderful hostess. She was also a great joke teller and loved a good party. In later years they spent their winters in Pompano Beach, Florida. There, Claire continued an active social life. She loved to give dinner parties and have house guests. On Tuesdays, she and Ronald enjoyed a drink with their friends at their special table at the Bog in Waldoboro. She was a voracious reader. When her eyesight failed, she enjoyed books on tape which she ordered from the Maine State Library. In spite of her failing eyesight, she was interested in birding and would often ask friends and families about the birds at her bird feeders. She was predeceased by her older brothers, Lawrence and Ormand Muzroll. daughter, Rhonda Collamore and her husband Clint of Waldoboro, son, R. Stephen Ralph and his companion Joylie Gushee of Waldoboro, grandchildren, Jennifer Dangar of Atlanta, GA, Derik Reichenbach of Pompano Beach, FL, Audrey Dennis of Suffolk, VA, and Sara Ralph of Yorktown, VA and eight great grandchildren. She was survived by her bonus daughters, Deidre Blodgett, Betsy Wooster, Laurie Broberg, Bobbi Cohen, and Cindy Vannah. Friends are welcome to join the family for a time of visitation from 5 to 7 p.m. March 1st at Hall Funeral Home, 949 Main Street,Waldoboro. A service to celebrate Claire’s life will be held at 1 p.m. on March 2nd at Hall Funeral Home. Rev. Robert Dorr will officiate. Burial will be in the Orff’s Corner Cemetery in the spring. Should friends desire, contributions may be made in Claire’s memory to Good Shepherd Food Bank, 3121 Hotel Road, Auburn, ME 04210 or Karls Kids, P.O. Box 363, Waldoboro, ME 04572. Love-The Dangars, Deidre Blodgett, and others have sent flowers to the family of Claire Elizabeth Ralph. Love-The Dangars purchased flowers for the family of Claire Ralph. Peace, for my other mother. Love forever. 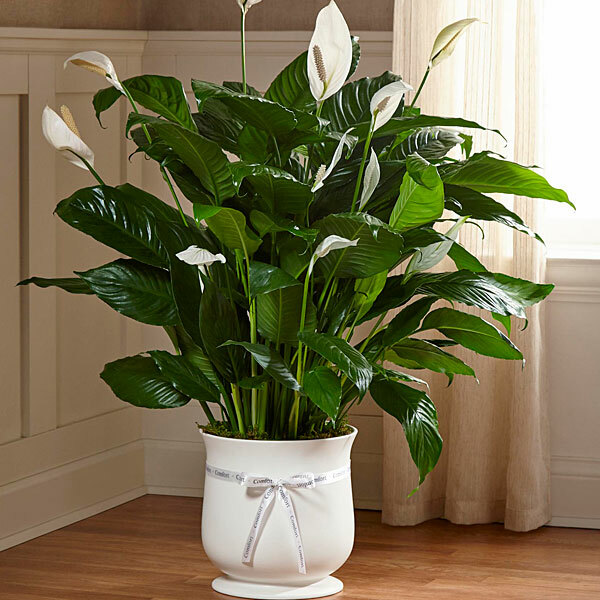 Deidre Blodgett purchased the The FTD Comfort Planter for the family of Claire Ralph. My thoughts are with the whole family. Such an amazing lady. So glad I brought Mom to visit. Rest in peace sweet lady. We will all see you on the other side!